Going into Dragon Ball Xenoverse 2, I was skeptical of it topping my personal golden standard for Dragon Ball Z games: Budokai Tenkaichi 3. 161 playable characters, destructible stages, and the most polished cel-shaded look yet made for the best virtual adaptation of Akira Toriyama’s opus to date. While future side entries like the excellent Revenge of King Piccolo or Origins did interesting things in their own right, marquee titles in the series took a nose dive after BT3. Less content, no fundamental gameplay changes, and weird little gimmicks that never felt like fully realized ideas—although I did like Burst Limit. Then came Dragon Ball Xenoverse. Xenoverse was, for many, the change that the series needed. It took the established arena combat, added in a new story, and let players navigate a small online hub world. While it felt like a breath of fresh air, it didn’t exactly feel revolutionary for me. It felt like a proof-of-concept, albeit a darn good one—like a bigger idea that ran out of time. What we got was a good but not exceptional riff on something we’d played a million times. With Dimps promising a bigger, better sequel, I figured I’d give them another chance. Plus, if you slap “Dragon Ball” on something, there’s a good chance I’ll buy it. I’m happy to report, then, that Dragon Ball Xenoverse 2 has exceeded my expectations in every way. This is the game I wanted the first one to be, and so, so much more. It builds on the strengths of every Dragon Ball game made since 2005, while stripping away the less desirable bits and pieces. As somebody who’s played every Dragon Ball game to date, I can trace the chronology leading up to everything in this game. The MMO-y bits of Xenoverse, Battle of Z’s frenetic multiplayer, Ultimate Tenkaichi’s streamlined giant ape battles—I could go on. It combines what worked with each game made in the past decade, and rightfully chucks out what doesn’t. The result is an extraordinarily polished, lean, mean punching machine of an anime game. The narrative is probably the best-written piece of Dragon Ball fan fiction out there. Picking up a while after Xenoverse’s ending, players control a customized rookie Time Patroller, while their custom character from the last game is transferred and becomes an actual side character. This Time Patroller is tasked with the same job as last time: examine anomalies in history and make them right again. What if Nappa and Vegeta both had Great Ape forms, for example? What if Ginyu took over Vegeta’s body instead of Goku’s? And, most crucially for series nerds like myself: what if Turles and Lord Slug got the chance to be more fleshed-out villains, instead of one-off punching bags for 45-minute, non-canon movies? The fairly substantial main missions answer all these questions, and many more. Players get the chance to experience another romp through Dragon Ball’s past within a fun, well-written original narrative. It’s a bunch of fan service, but it’s fan service done right, and in a way that doesn’t feel cloying or one-note. It helps that the gameplay in Dragon Ball Xenoverse 2 is the best that the series has seen. You’ll still fly around and punch people across large, open arenas, which is what the series has been about since 2005. But the stages have never been as open, the gameplay never so satisfying, and the controls never so tight. While it still suffers from the occasional camera wonk that will likely never get fixed, everything about the mash-happy combat feels more visceral and compelling than ever. If you didn’t like what’s been on tap before, you probably still won’t, but fans will be pleased as punch to have the most polished controls to date. Super and ultimate attacks are easy to rattle off, but difficult to time. Combos are simple to execute, but using the right ones is tricky to master. It’s the sort of game you can easily pick up and understand, but pushes you to learn its intricacies (follow-through attacks, pursuits, etc.) over time. When you’re not in battle, you’ll get to explore the new and improved Toki Toki City. This time around, it actually feels like a city. Shops are more spread out, there are distinct parts of the map, and you can even fly or zip around on vehicles. There are more NPCs to interact with, and talking with player avatars has returned. Players can also visit other places outside of the main map, like the Capsule Corporation headquarters, Mr. Satan’s house, Frieza’s spaceship, etc. These places have their own side missions, which are meaningful distractions in and of themselves. For instance, you can complete tasks to become Mr. Satan’s bodyguard, or work your way through the ranks of Frieza’s army. You can even become Great Saiyaman 3 if you want. On top of the main Time Patrol quests and the entire slew of Parallel Quests (which can be played alone or with other players,) there’s a sizable gamut of content that’s fun to play and doesn’t just feel like padding. Considering that’s something much bigger titles struggle with to this day, a Dragon Ball game pulling it off is nothing to sneeze at. There’s a lot of stuff in Dragon Ball Xenoverse 2 and it’s all compelling, adding to what is already a rock solid game. A new addition worth mentioning are QQ Bangs. Expanding on Xenoverse’s deep gear system, QQ Bangs overwrite stat boosts or decreases that come with gear. You craft them by combining two pieces of gear, plus an item. What this means is that if you like the way a gear set looks, but hate the hit that your stats take, you can just equip a QQ Bang in its place. You get to look the way you want, with none of the consequences. It’s a really ingenious little system that makes everyone happy. Taking a step back and looking at the entirety of Dragon Ball Xenoverse 2, it’s hard not to be impressed. As a critic, I’m always ragging on two things: games with good foundations but no content, or games with a ton of content that just aren’t a lot of fun. Taking away my biases as a series fan for a second, what pedigreed developer Dimps has done is impressive from a design perspective. They’ve trimmed over a decade of fat away from a long-running series, then added in a bunch of content that’s both substantial and works towards the gameplay’s strengths. It’s rare for me to feel motivated to complete every ancillary side quest, collect every trinket, talk to every character in a game—the last time I did it was Saints Row IV—but with Xenoverse 2, I intend to do just that, on top of sinking time into the multiplayer, grinding loot drops, and playing through the DLC. It’s that fun. Dragon Ball Xenoverse 2 is everything I’ve ever wanted out of this franchise. It’s the same series I know and love with new stuff added onto it. It retains everything I love about Dragon Ball games, and expels everything I hate. It’s a content-packed game that doesn’t feel monotonous or like a total slog. In conclusion, Dragon Ball Xenoverse 2 is a damn good video game. 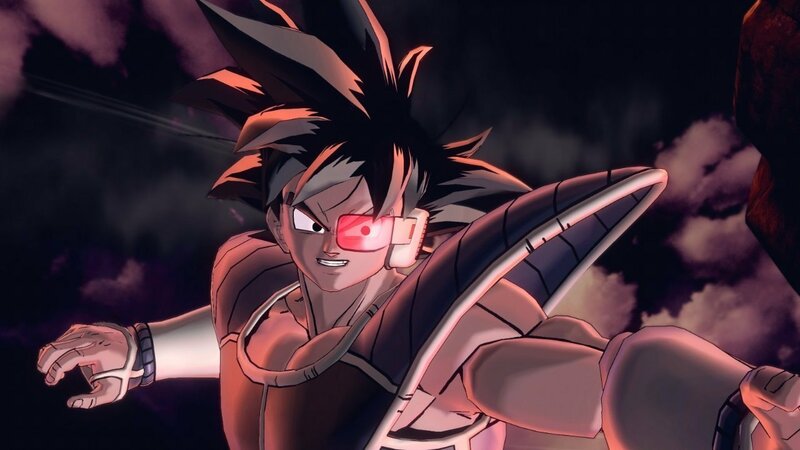 Dragon Ball Xenoverse 2 is a potent Genki Dama to the series’ longstanding issues, and a bigger, better game than the original by every stretch of the imagination. A true must-have for any Dragon Ball fan.